IRON MAIDEN frontman Bruce Dickinson will bring his spoken-word tour to Australia in the fall. The trek, which will kick off on October 18 in Sydney, will celebrate the release of his autobiography, “What Does This Button Do?”, which ticket buyers will receive a special signed copy of. Attendees will get a chance to participate in a question-and-answer session with Dickinson, where they will get a chance to pick his brain on a variety of topics, including what it is like to front one of the biggest heavy metal bands of all time. 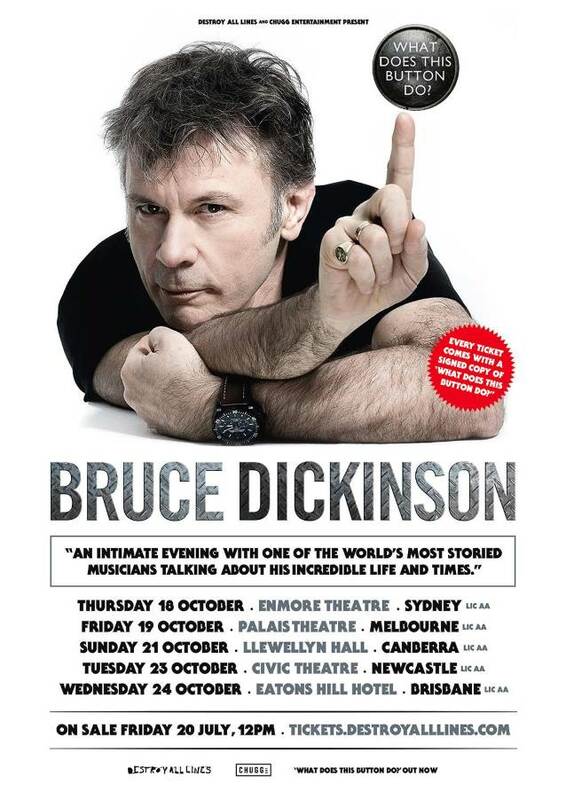 The five-date speaking tour will see Dickinson hitting Melbourne, Sydney, Canberra, Newcastle and Brisbane. Tickets will go on sale on Friday, July 20 at 12 p.m. local time.